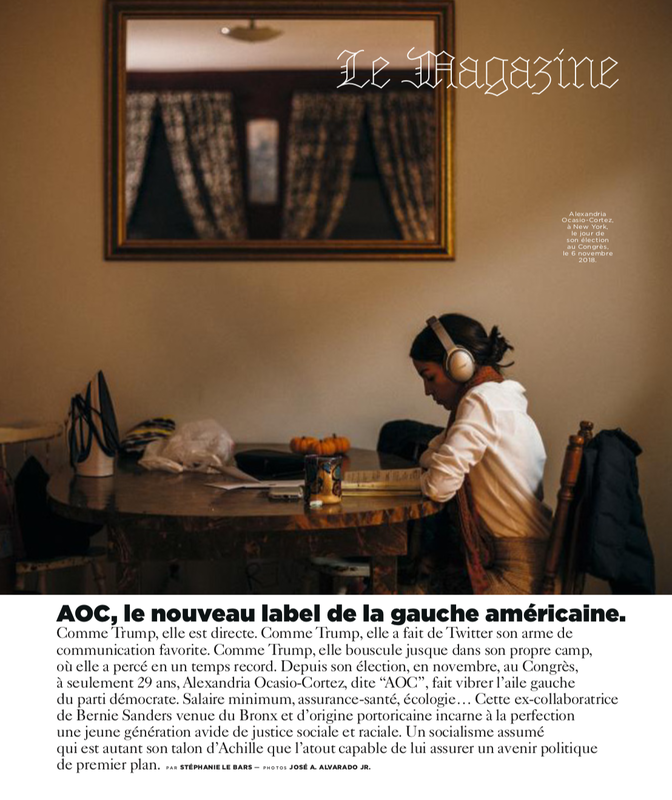 My photographs documenting Rep. Alexandria Ocasio-Cortez’s road to Congress are in issue 392 of Le Monde, M Le magazine du Monde, accompanied by some wonderful writing by Stéphanie Le Bars!!! What a way to end an auspicious month of March, so grateful and honored. Thank you Lucy Conticello for the privilege!